This new art print by Louis Craig Carpenter is a bit more expensive than most stuff we cover here, but I really fell in love with it. 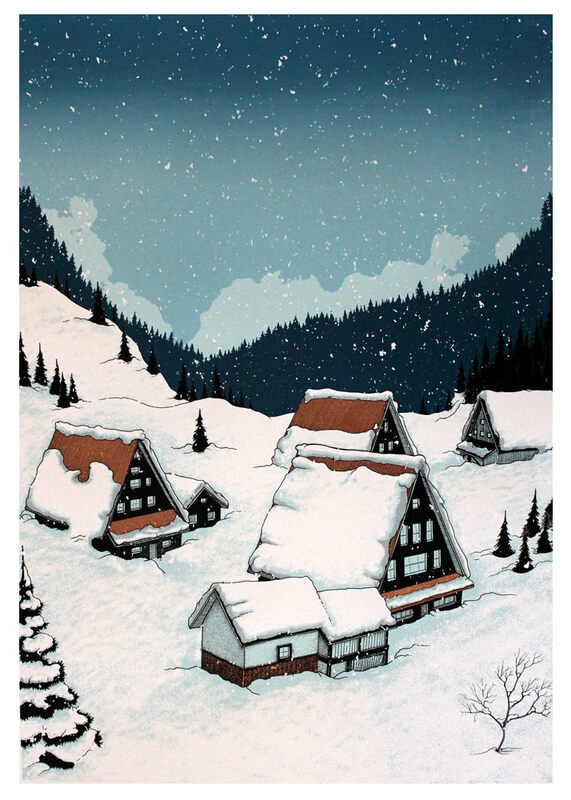 “Snowy Houses” is a 19.5″ x 27.5″ screenprint, has an edition of 60, and costs £145. Visit PrintClubLondon.com.